This season’s short haircuts for men are full of texture and highly-defined movement. 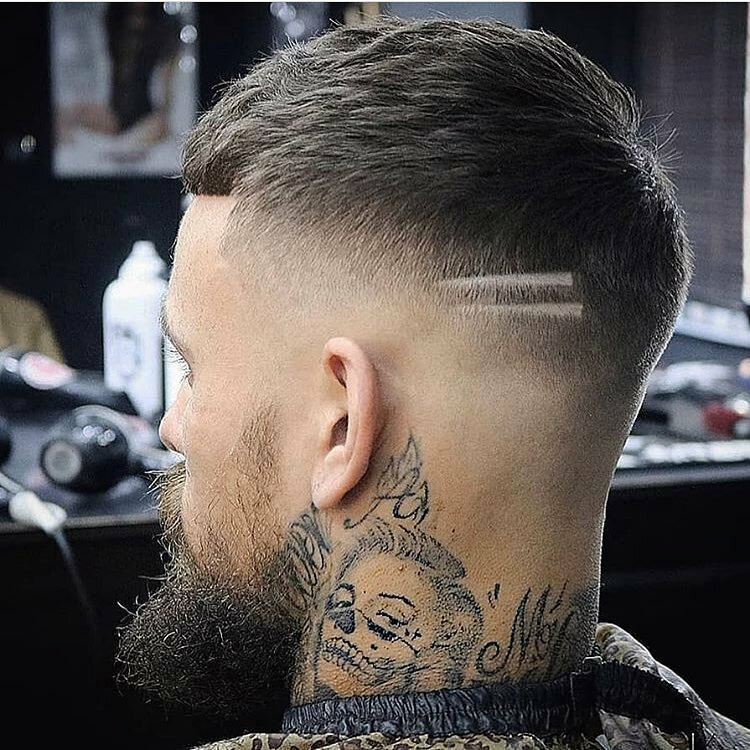 Strong shapes are broken up with fantastic textures to create interesting and face-flattering haircuts, often complemented by a stylish beard. 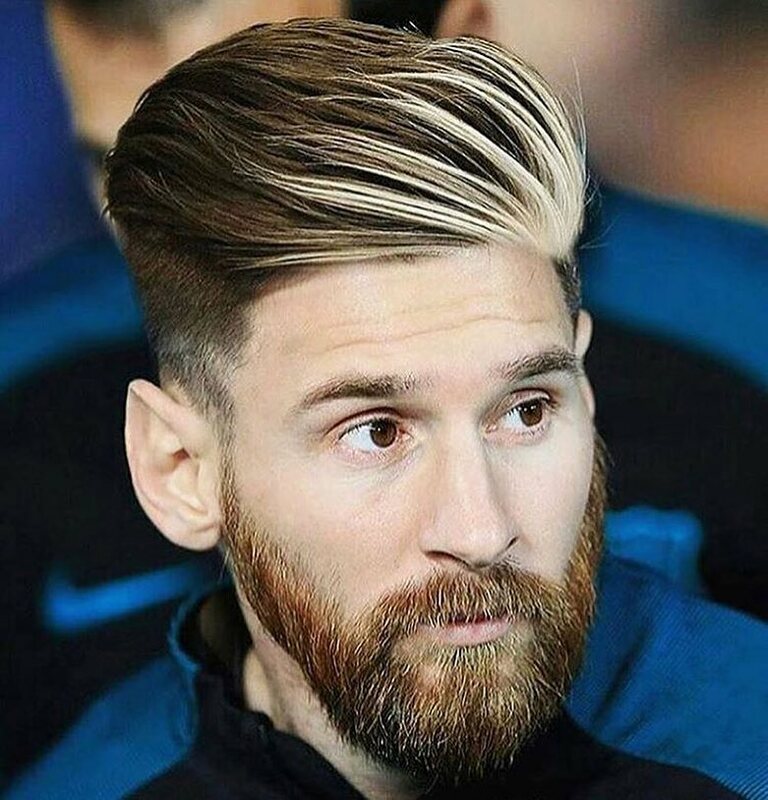 So take a look at the radical, new looks in our gallery of the 10 ‘Most Wanted’ short haircuts for men with style! Upward movement like this conveys the impression of speed and a sporty, streamlined image. The sides are cut in a well-blended fade with a clean line around the ear and a contemporary curve at the temples. The nape is buzz-cut and shaved to give a clean line. And choppy texture on top adds volume from a swept-back front that suits a low forehead. 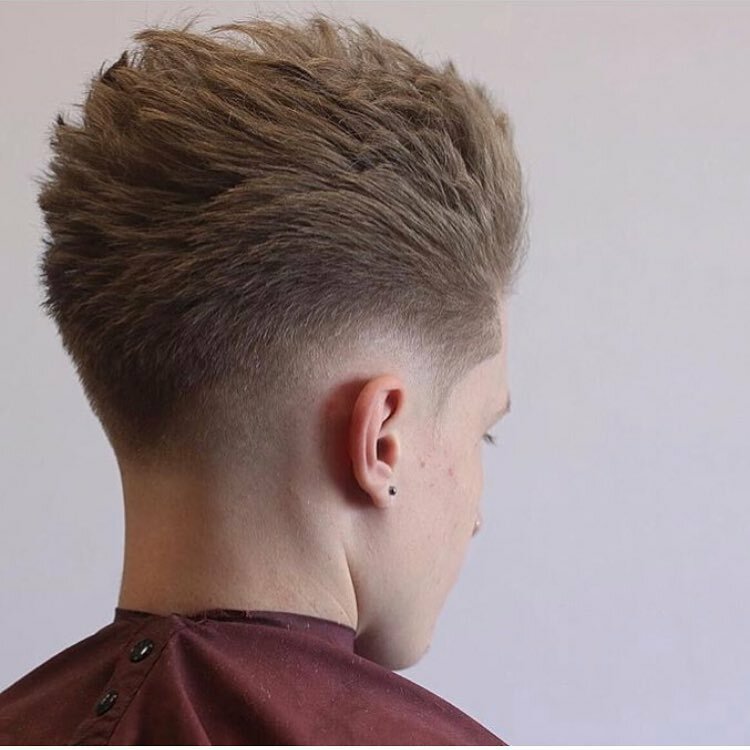 It’s a great modern haircut for trendy, young guys! This is another fabulous style for young trendies, which strikes a rebellious note to match the nose and ear piercings. 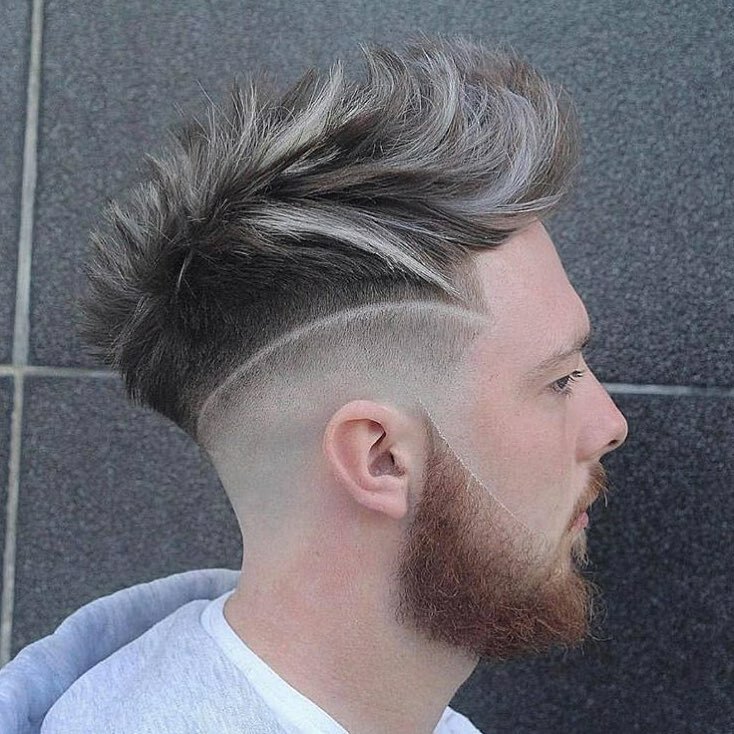 The faded side and back are shaved up high for the retro short back and sides look. However, there are several new twists making this a totally up-to-the-minute look. For instance, the dark back section is cut into a fashionable, single point above the nape. 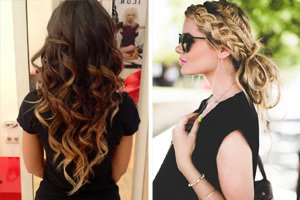 And the neutral blonde shade on the loose curls is a natural hair-color with a lot of ‘class’. With a casual fringe over the forehead, this style is great for showing off a good bone structure! A front quiff that reverses forward styling on a short haircut is a good way to add height. This can balance a low forehead or a wide face. And thick hair is perfect for this textured cut with a shadow fade and shaped temple line. There’s a pleasing curve down to the V-shaped nape and a superb, artistic curve separating the side-burns. A short beard and moustache complete this fashionable look for the well-groomed man-about-town! With a black band around the neck of the cover-all, I thought he was wearing a Star-Trek outfit at first glance! And that’s because this short male haircut has a definite, futuristic vibe. The short-back-and-sides is severely cut leaving a band of dark hair above shaved temples and drawing attention to the ears. The ash-blonde color is making a big fashion statement and an ultra-short, straight-across fringe continues the severe look. Like lots of guys, this model has a red beard and moustache, beneath a natural head of black hair. So full marks to the colorist who has pulled the colors together beautifully. 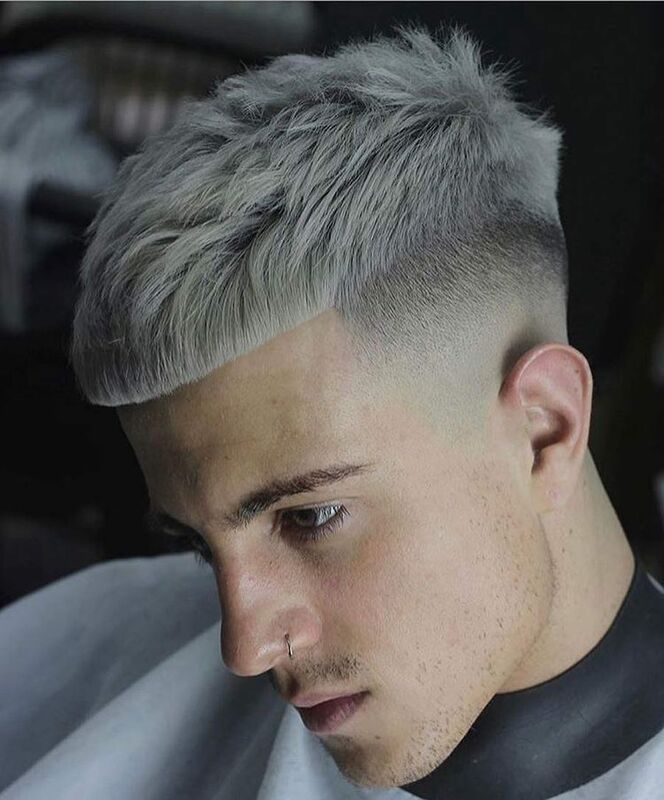 Against the model’s ruddy complexion and ginger beard, the ash-blonde balayage cools down the color to a more masculine level. 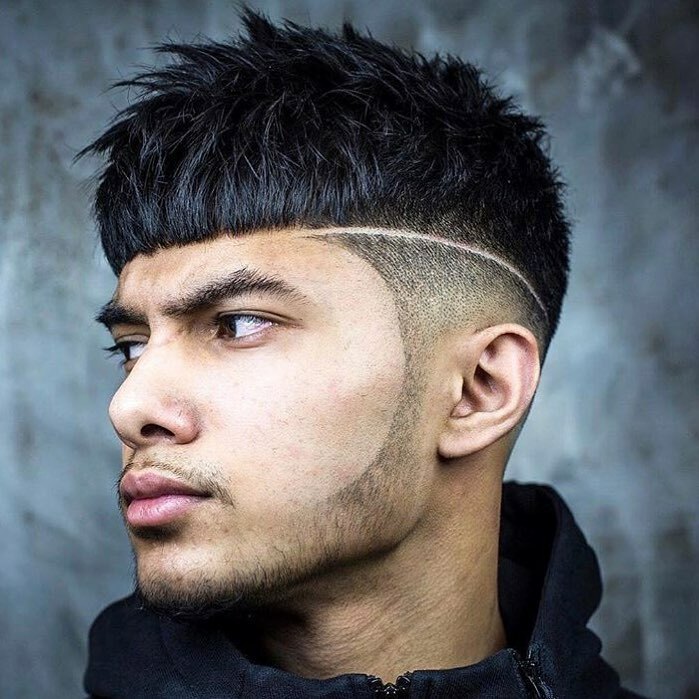 There’s a trendy gap between the sides and the side-burns and lots of fashionable curved details giving the hair a dynamic, highly textured finish! Wearing a full beard and moustache help to disguise a long, narrow face shape. 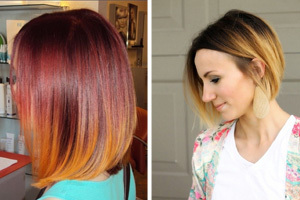 And a flash of blonde adds trendy asymmetry and distracts attention from a low forehead. 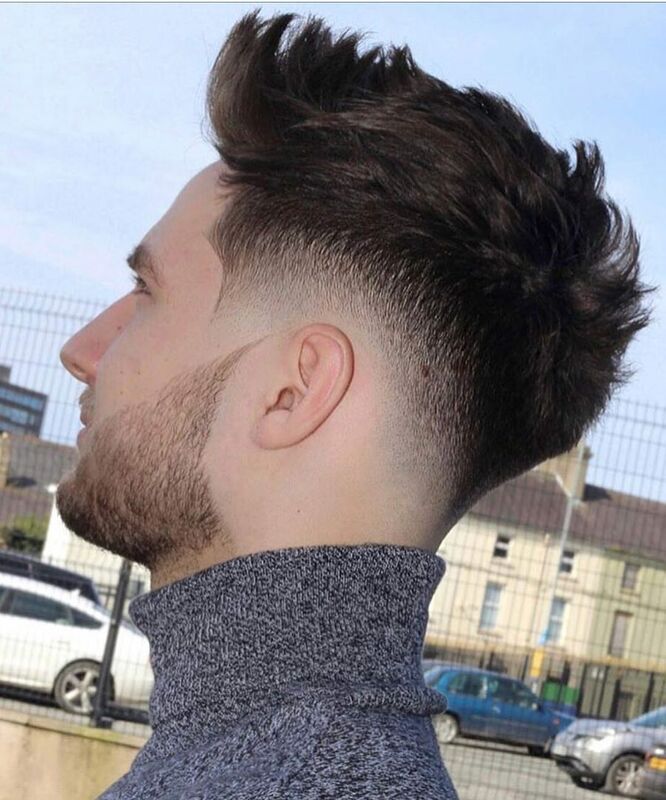 The basic shape of hair swept back at the front and a full beard, are traditional. 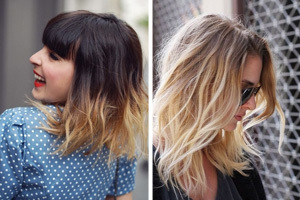 But they fit well into the fashion for retro-style brought up-to-the-minute with two-tier graduated sides and that cheeky balayage! This very masculine hairstyle is no doubt inspired by ancient, tribal haircuts of long-lost Amazon tribesmen. And the basic shape is a bowl-cut with a straight-across fringe. 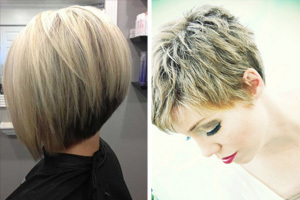 However, this short haircut has attractive modern twists, like the textured tips arranged in a softly spiked silhouette. The razored line moving along one side, suggests ‘go faster’ stripes. And the beautifully-shaped stubble beard and moustache accentuate a strong jawline perfectly! This is a great look for anyone who likes to look smart and organized. The top is styled straight back from the forehead, adding length to a round face shape. 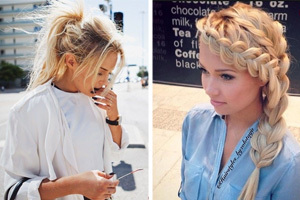 And making this hairstyle simple to achieve after a shower. The shape looks carefully sculpted, but the solid look is broken up nicely with some fantastic texture in the short layers. 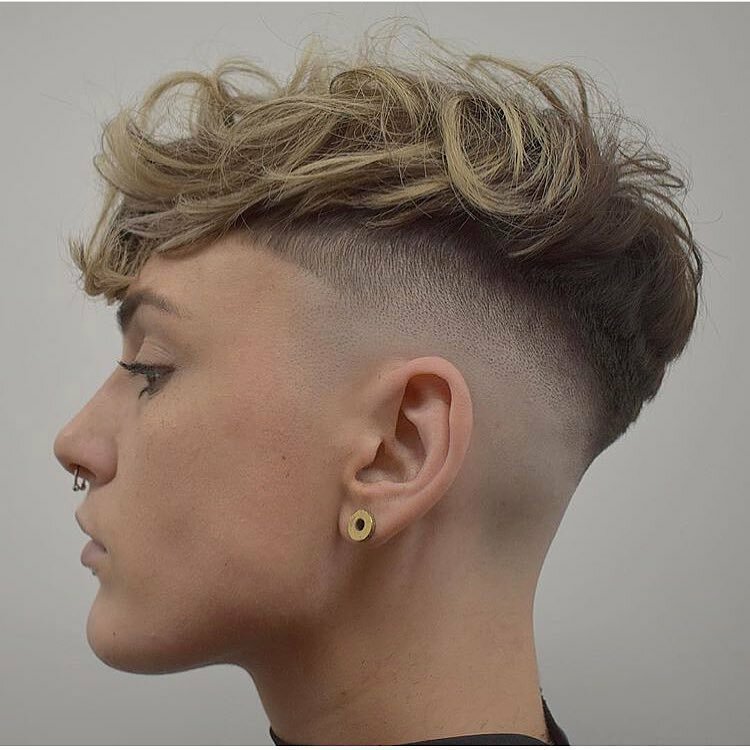 The side fade gets a touch of asymmetry, too, suggesting a young exec. with creative flair! This is the back view of the haircut above in ash-blonde. And the short back and sides is perfect for displaying some super-trendy tats stretching from the jaw around the nape. A full beard and moustache is kept long enough to add length to the model’s chin. This balances with the short fringe leaving the forehead bare. 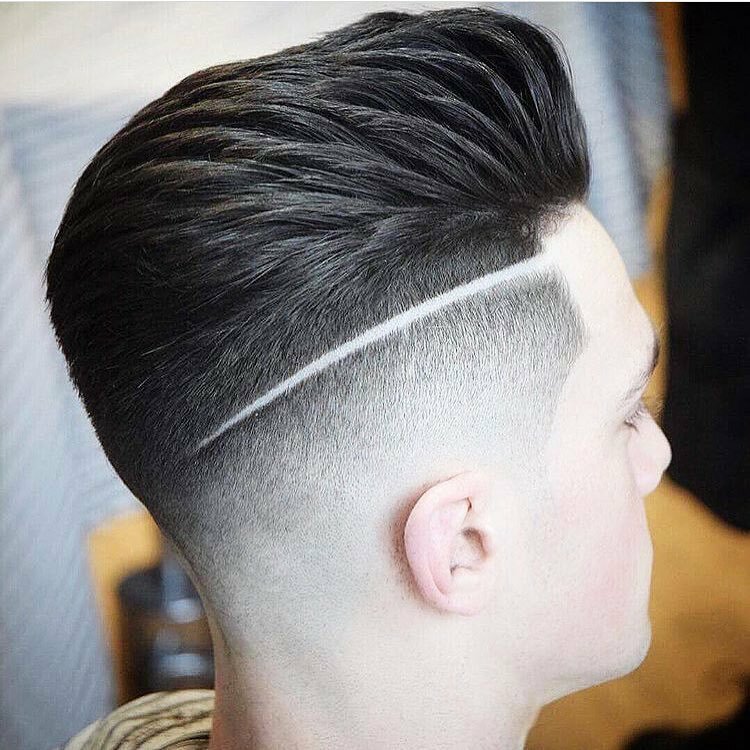 It’s a retro-look, but two tapered lines on one side remind us that this is a contemporary, hip hairstyle! 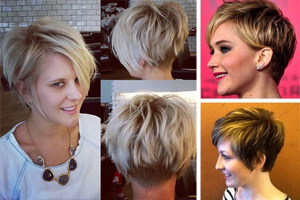 Here’s today’s final short haircut showing the great contrast you can get between black hair and pale skin tones. Fading down to almost nothing at the sides, creates a lighter band of color from skin that hasn’t been exposed to daylight. This intensifies the impact of textured top layers and the carefully shaped squared off hairline at the temples. 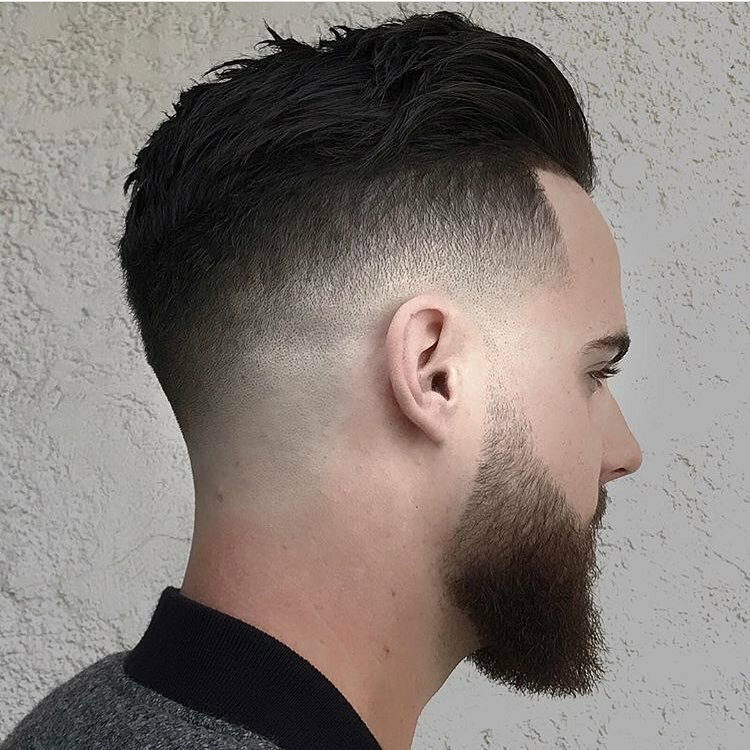 The Amish-beard is a popular look this season, and keeping the shape well-defined is an essential part of male grooming for this modern look! 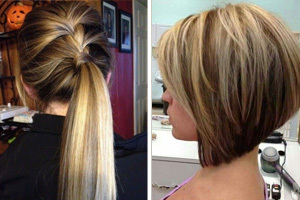 10 Classic Shoulder Length Haircut Ideas – Red Alert!10 Classic Shoulder Length Haircut Ideas – Red Alert!